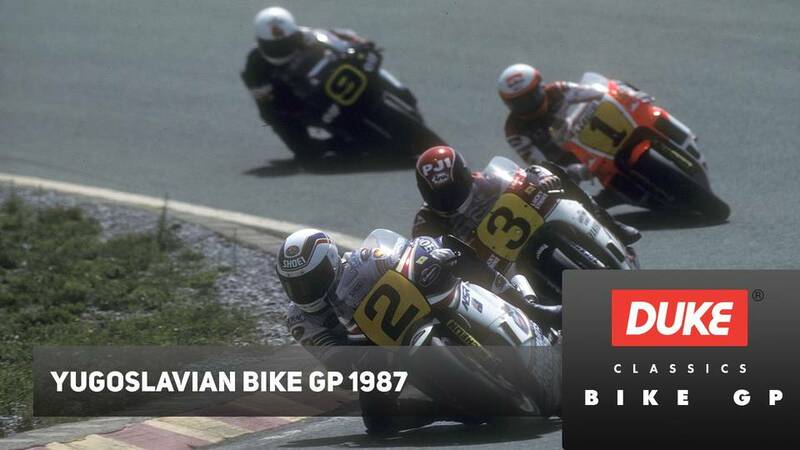 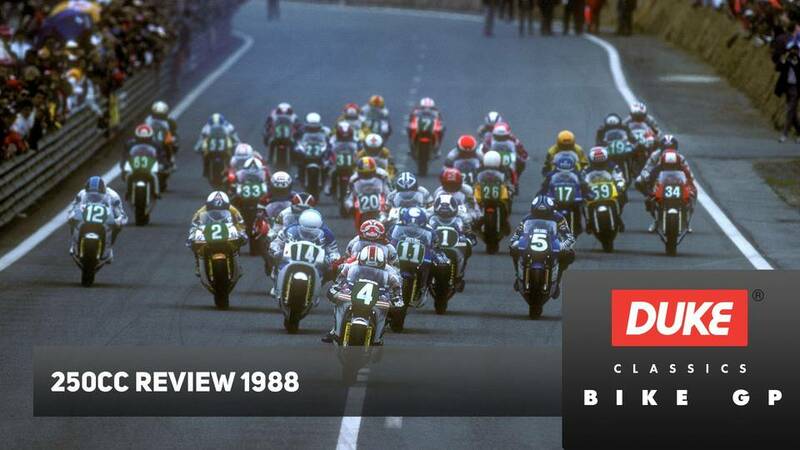 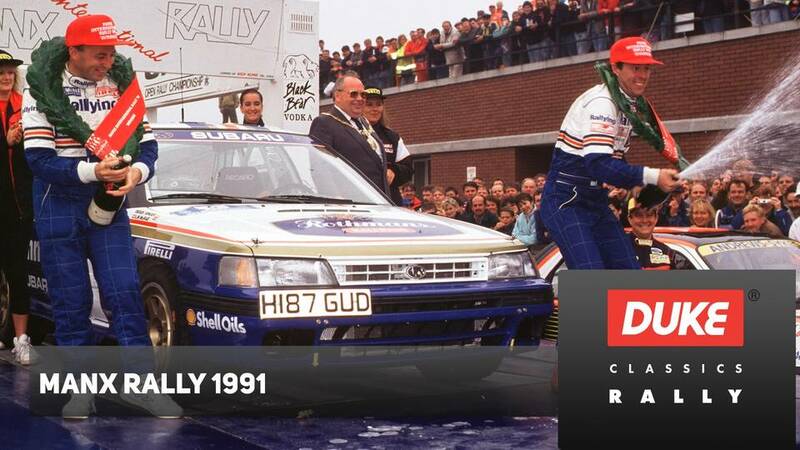 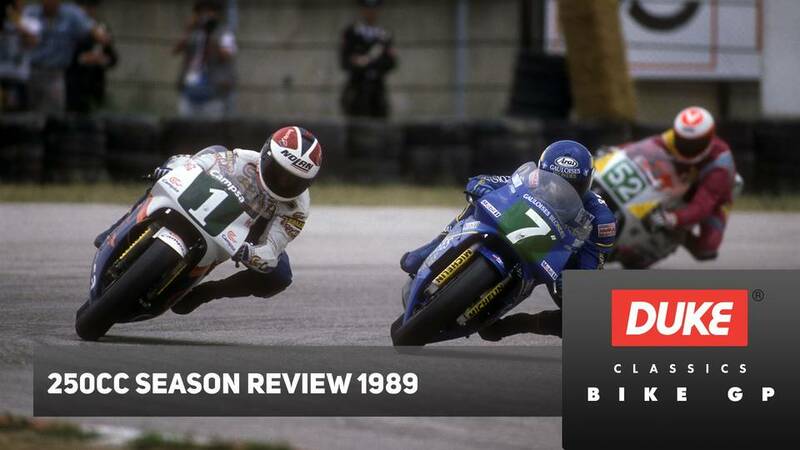 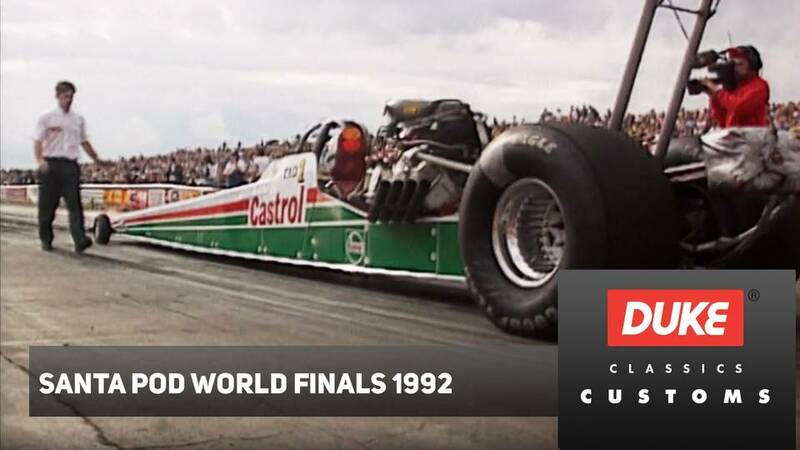 A new track to Grand Prix racing, the return of Freddie Spencer and the possibility of a British win in the Sidecar class drew nearly 60,000 people to a sun-kissed Donington Park for the ninth round of the 1987 World Championship. 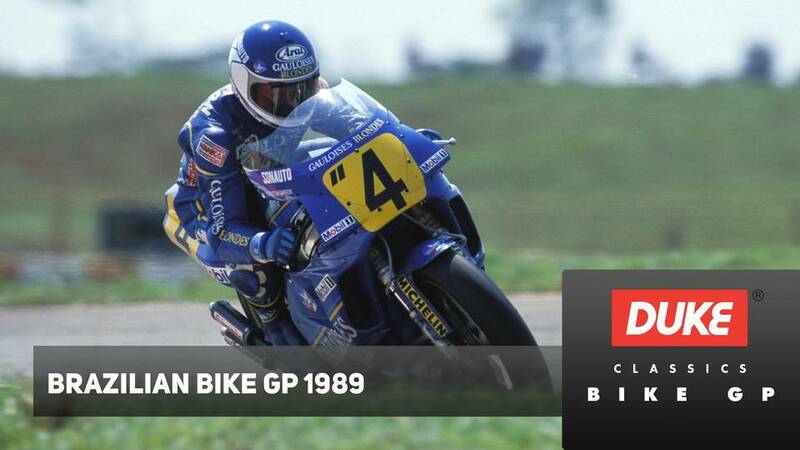 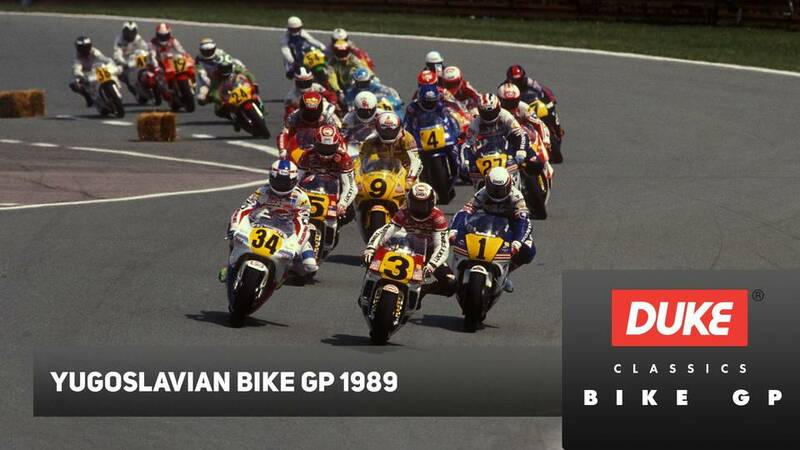 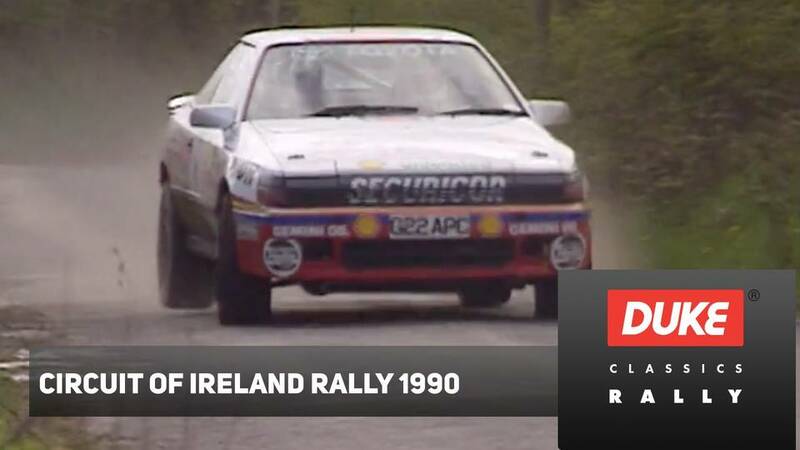 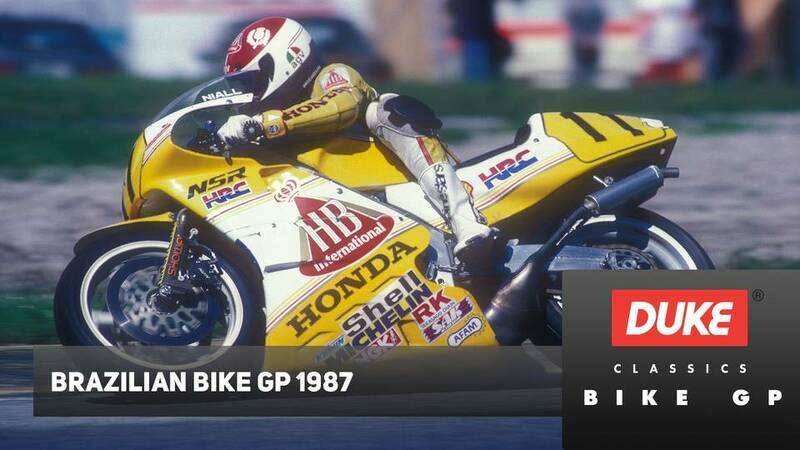 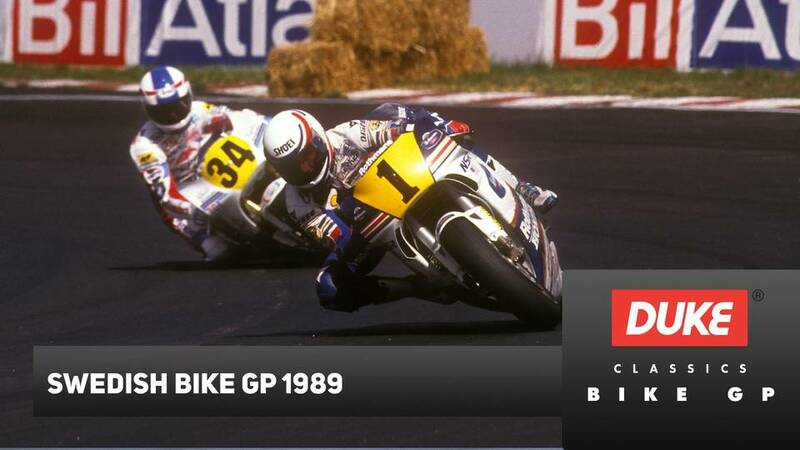 More of a rider’s circuit than Silverstone, so the cameras were able to exploit every opportunity to witness Honda, Yamaha and Suzuki battling in the 500 cc race and equally hard-sought-after points that were on offer in the 250 cc class. 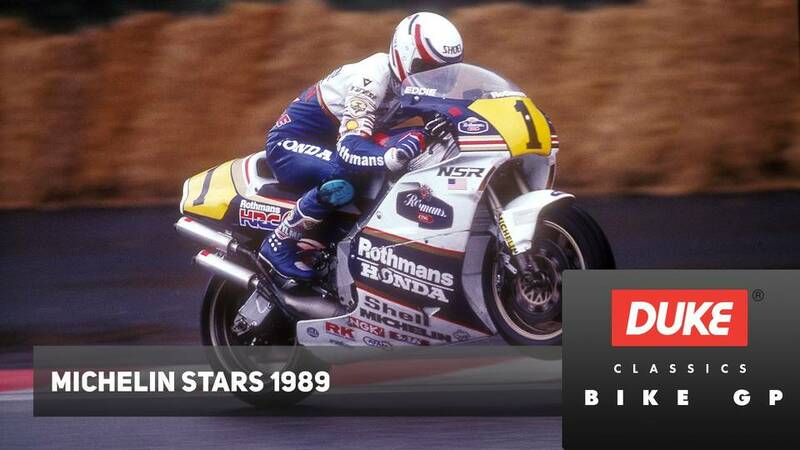 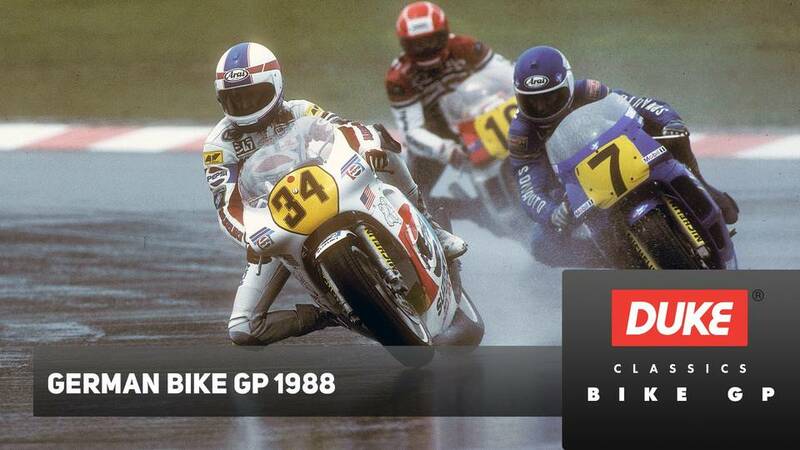 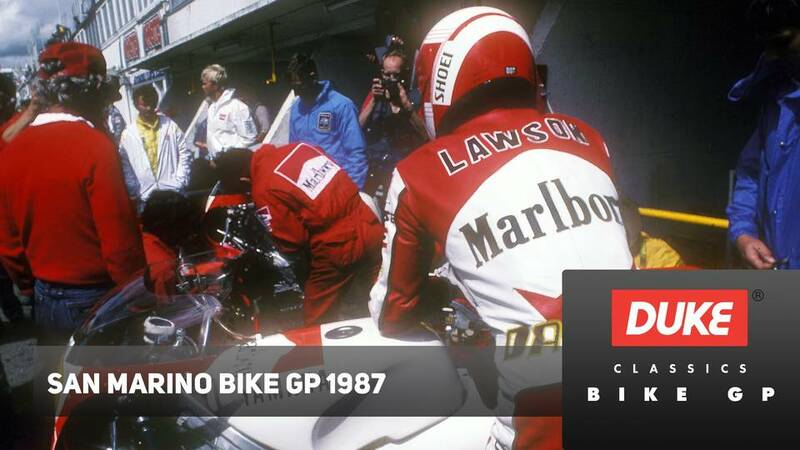 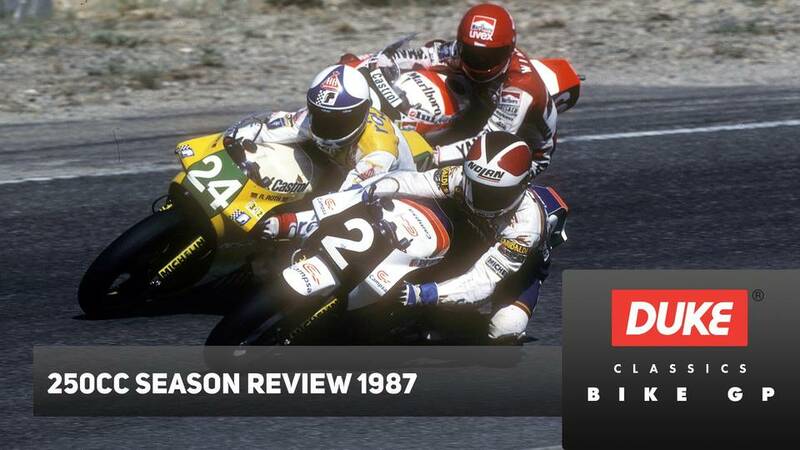 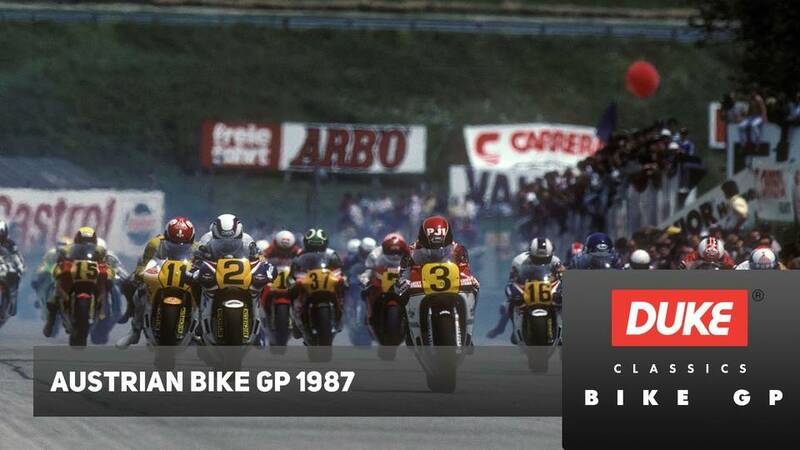 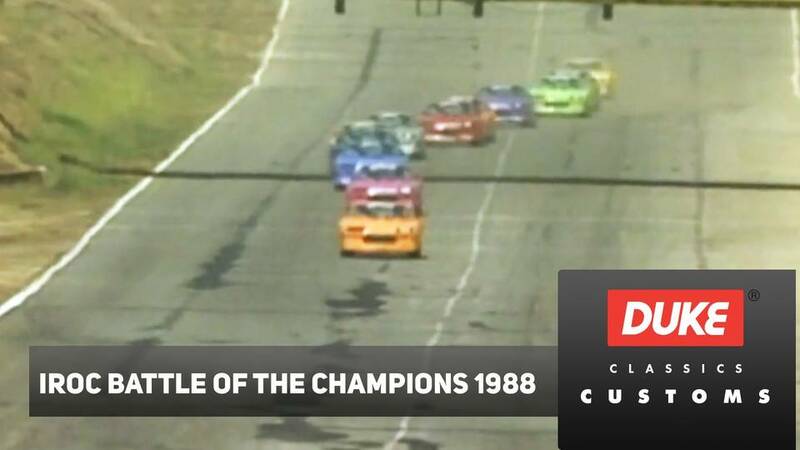 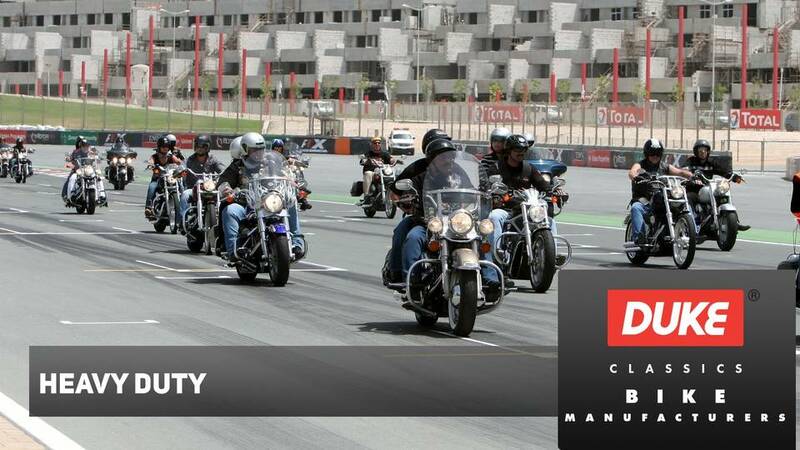 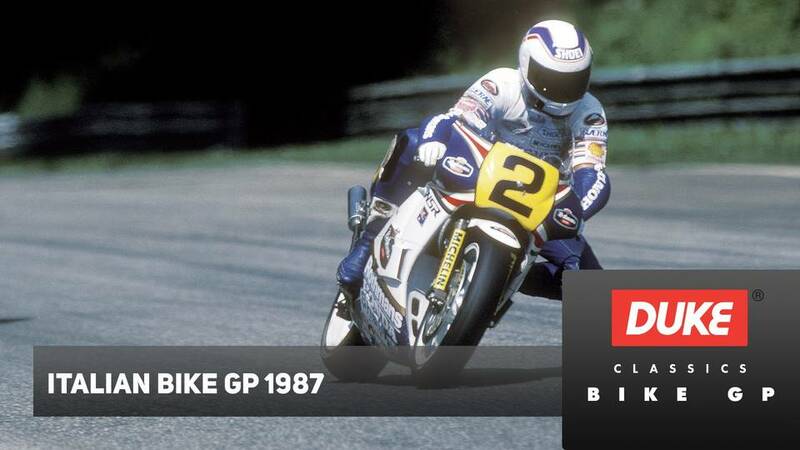 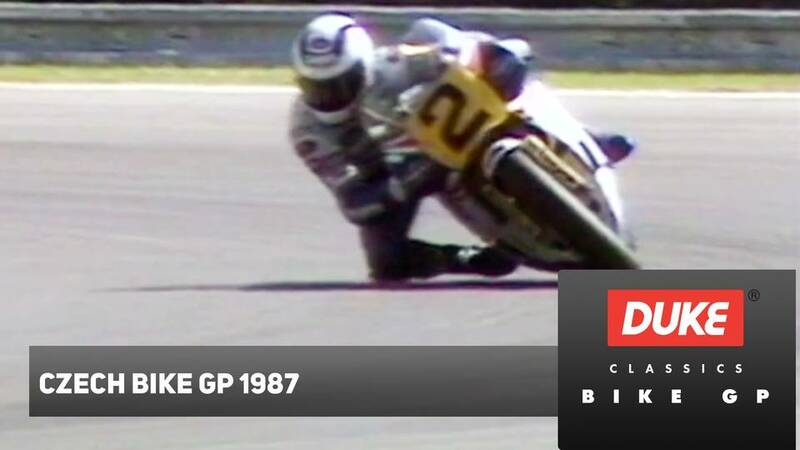 Australian Wayne Gardner, Eddie Lawson, Randy Mamola and Freddie Spencer star in this classic encounter.